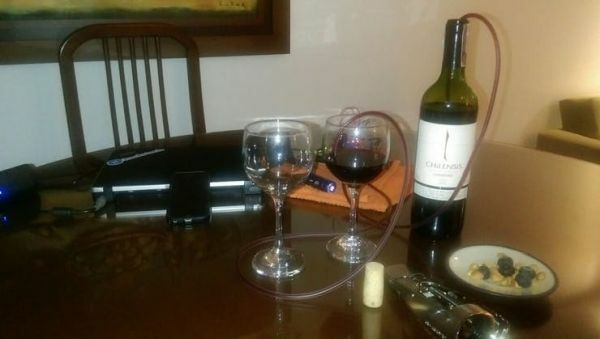 This circuit serves a wine using a mini water pump all controlled from your phone. Enjoy it during your holidays! The idea is to learn! 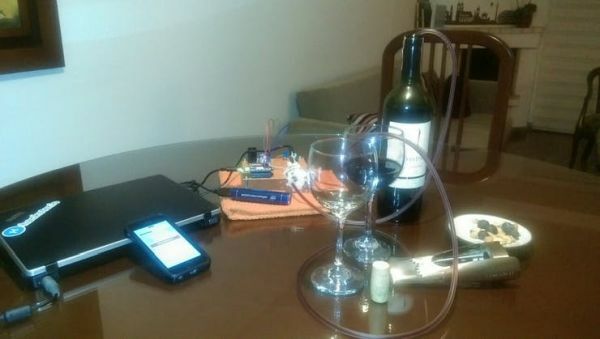 Here with an Arduino MKR1000, Evothings Studio to make the app and a mini water pump (DC motor), it is possible to serve a wine from your smartphone. 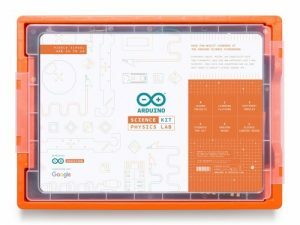 Also, the idea behind this is to make it by yourself, even the PCB learning around CNC machines (it is another chapter). But I invite you to try it in any maker space near you. 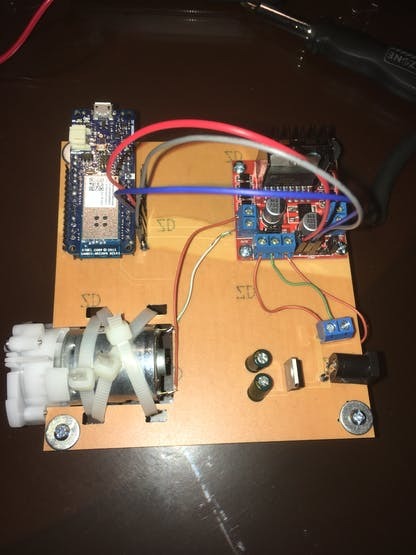 The DC motors need a bridge in order to handle the current, here we use the L298 – very easy to integrate and also powerful. 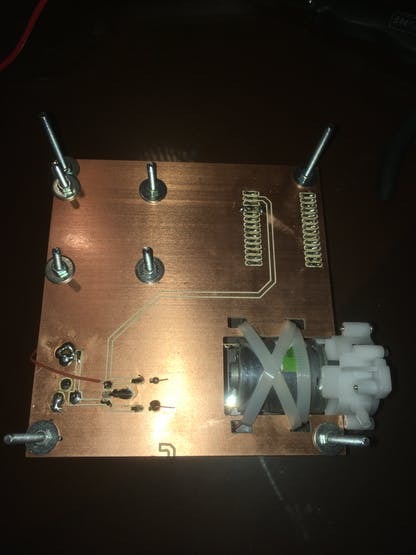 NOTE: Not all the routes are done in the PCB; some wire jumpers are used in order to be flexible and use the PCB to do other prototypes. //in case you have sensors connected to Analog Input (A1 and A2) here will be read and send to the serial monitor. 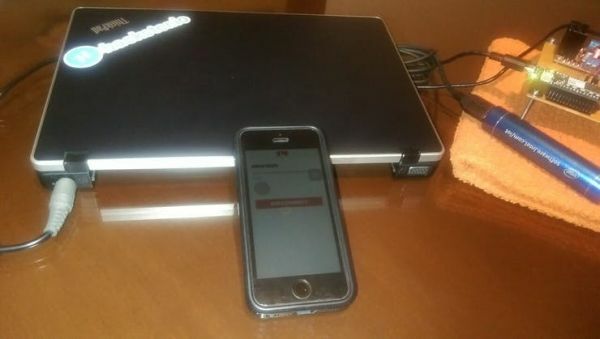 // Check if module is still connected to WiFi. 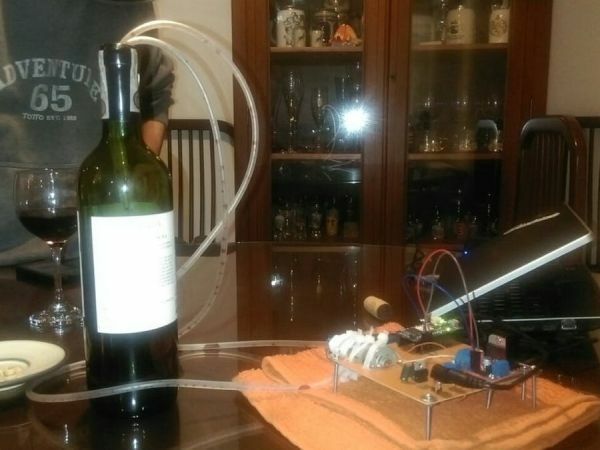 Source : IoT Wine-Tender-Arduino MKR1000!